I’m sugarcakey, sug in short. Some time ago, I promised ponytale to write a guest review for her, and this is the result! 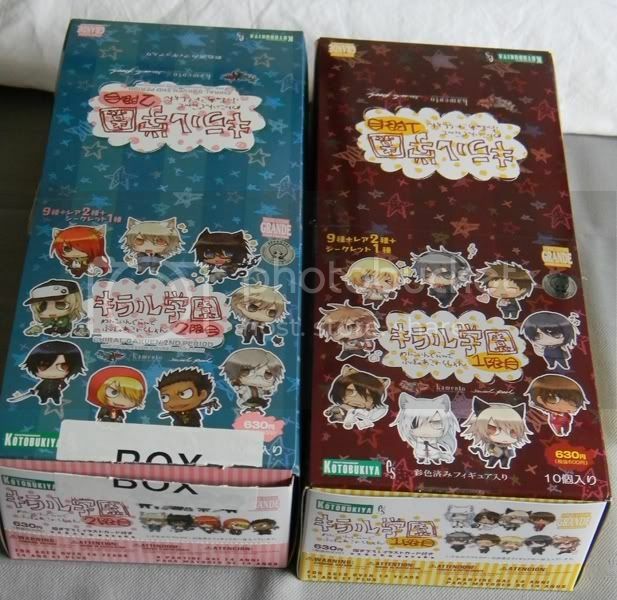 Today, I’m going to present you the Chiral Gakuen Coin Figure sets 1 & 2. 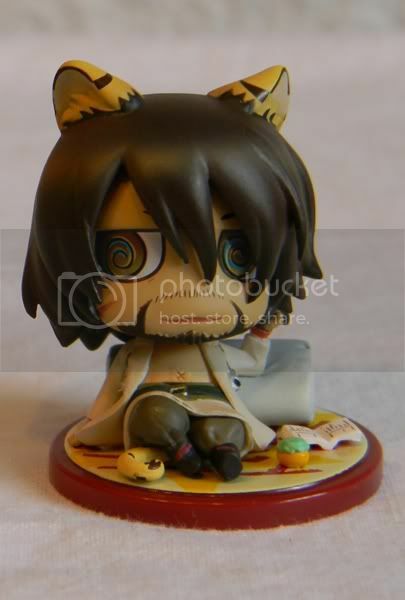 Price: 6,300 Yen (w/tax) for box of 10 figures (including the secret). Total 12 figures to collect because of the colour variations. 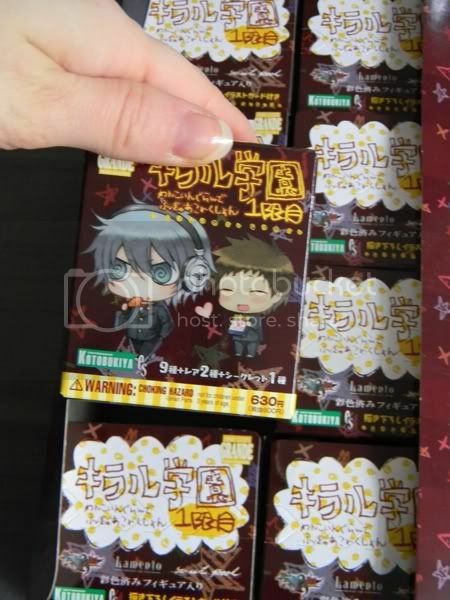 The individual boxes feature Akira and Keisuke upfront (the sides show the characters included in the set). I already unpacked the figures once, in order to see which versions I got. 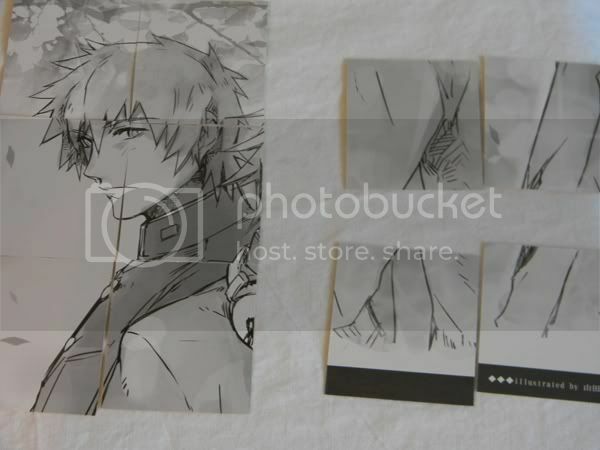 But I took the photos today in the random order when I took them out of the box. 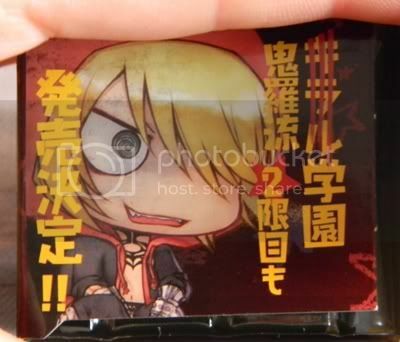 First are Rin and Bardo! Bardo looks as relaxed as ever – and just look at the nice details! In general, both sets’ figures are quite detailed, so you see the care that was put into the design and in the realization of it. 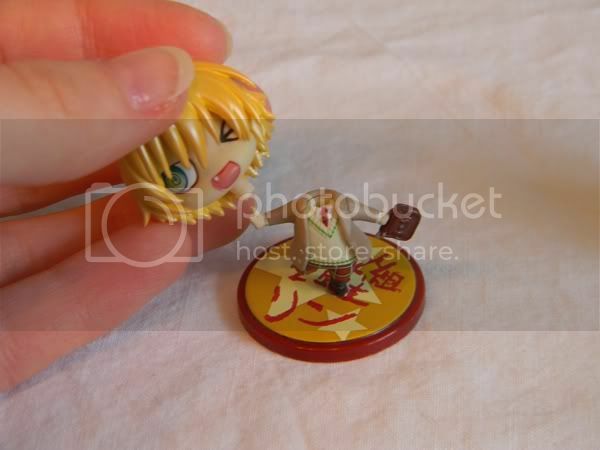 When I took him out of the plastic case, I was really shocked, because his head fell off! I guess you can have some fun with switching the characters bodies ;) But I was really shocked at first, because his head was so loose. 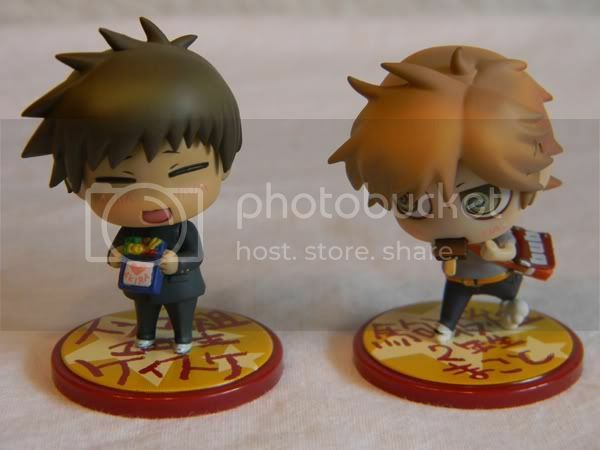 Next are…the “food brothers” – Keisuke and Makoto! 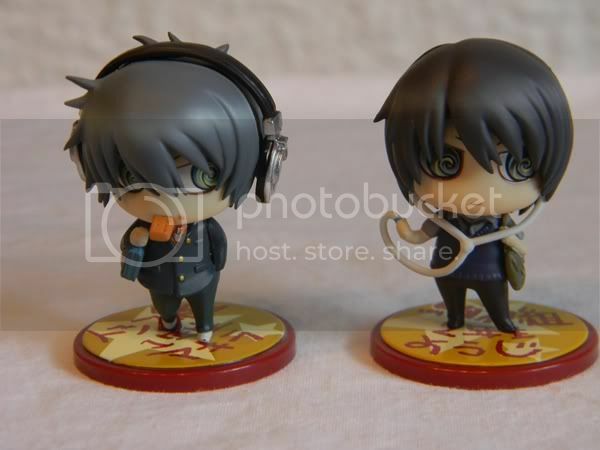 Again, Makoto has lots of detail (even the Bub-logo on his bag) and Keisuke just looks really cute! 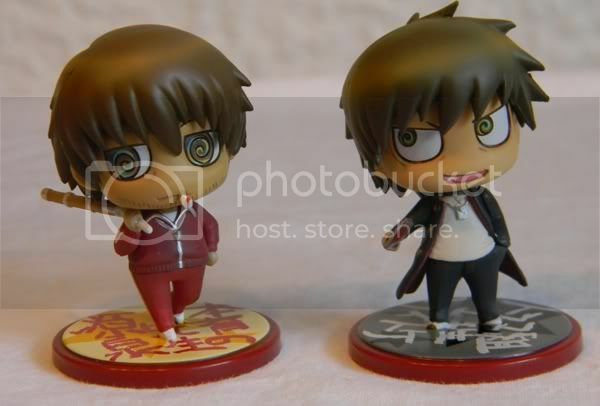 Following….The two main protagonists of this set – Akira and Youji! I love how Youji smiles softly, and how both have headphones. 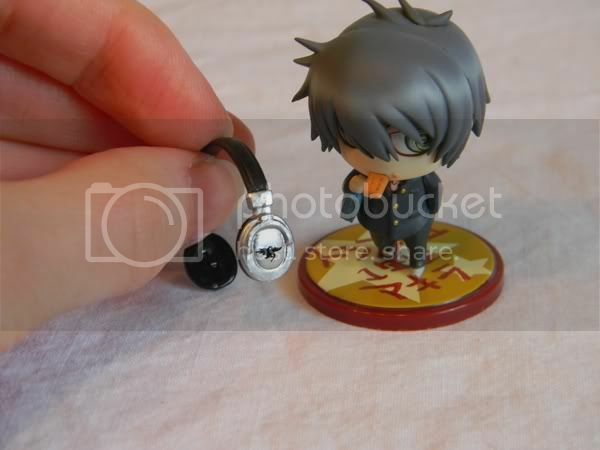 As you can see, I got the black ‘n silver head phones for Akira. They are removable, but I don’t know if they’d fit any other character’s head. 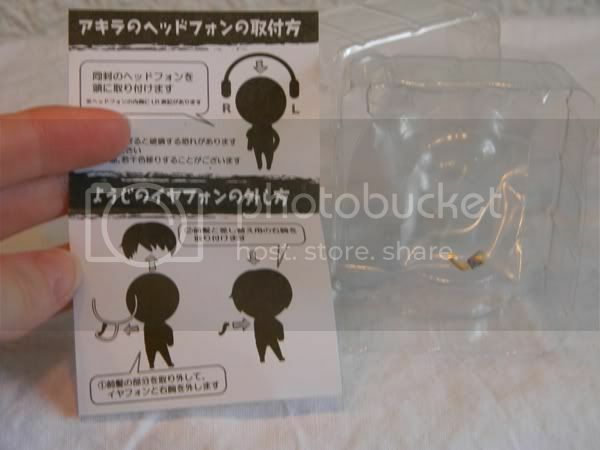 Youji comes with an extra arm and instruction – you can remove his headphones and mp3 player. 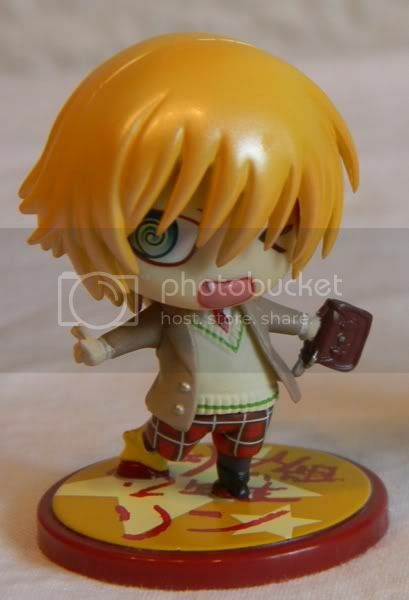 Kurosuke is there as well (he’s the secret figure)! 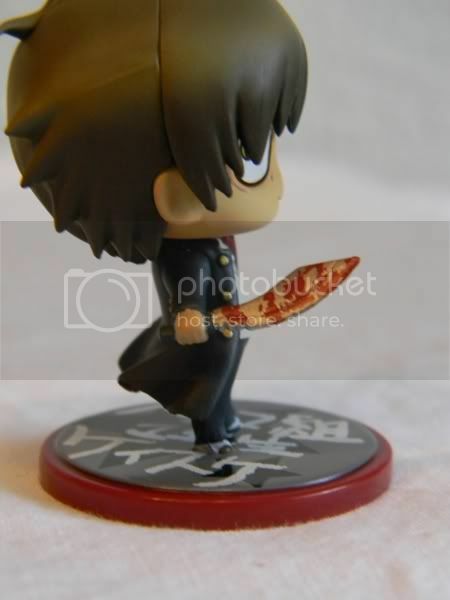 He looks creepy- and his knife is rea~lly bloody. As you can see, I got Motomi’s red version. The red looks very nice and I think it suits him. 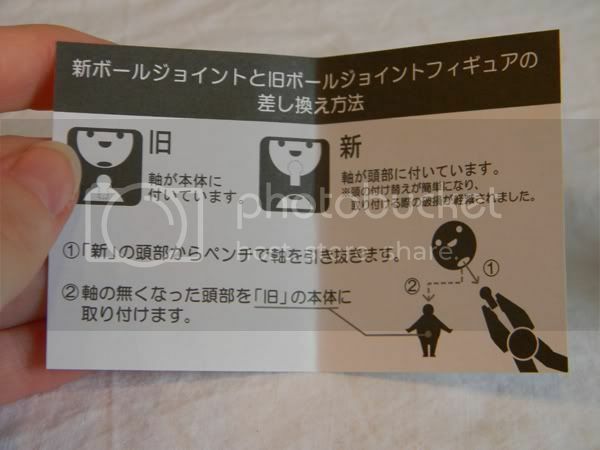 As always, each figure comes with a character card. It’s Keisuke! But it is not complete yet – another hint to buy set 2 ;) I will reveal the complete picture in the review of set 2. As you can see, the figures are very lovely and cute; and in general they realized the design pretty well. Except for Rin. 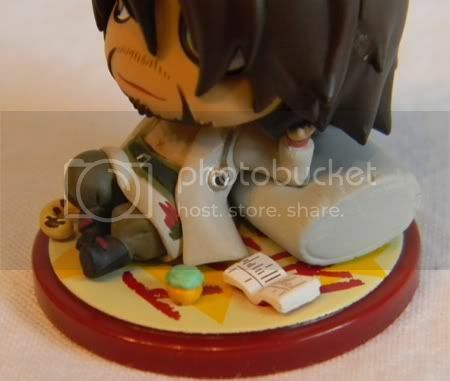 Maybe Kotobukiya had too many tasks at once and didn’t check the colouring properly? 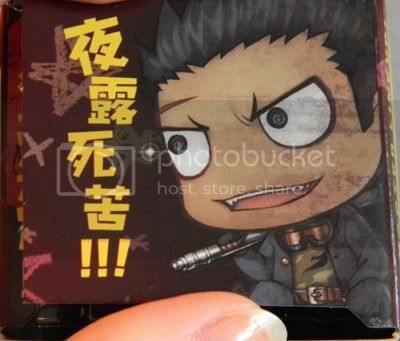 I liked the old Rin’s hair better…. 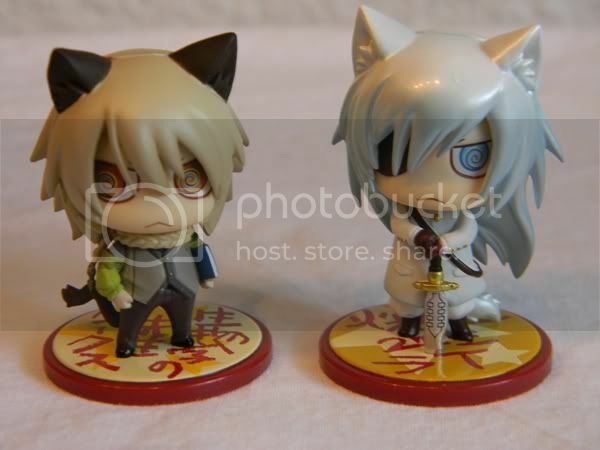 (sorry for the whining, haha) Rai’s hair seems less silver-y than his old figure, which doesn’t bother me. I didn’t really compare them side-by-side with the older figures, though.